The real estate market has changed in dramatic ways in the past ten years. Today buyers are looking at purchase opportunities that would never have been available prior to recent financial upheavals. One example is the way short sales have become far more common in the current market. If you would like to understand how a short sale works, this basic guide will give you an idea. A short sale is one in which the buyer agrees to sell a piece of property for less than the outstanding balance of his or her mortgage and the mortgage lender agrees to forgive a portion of the debt. This situation has the potential to be advantageous to all parties involved. For sellers, short sales do less damage than foreclosures or bankruptcy (although there is still usually a significant hit on their credit scores). For lenders, short sales are less of a hassle than foreclosures. For buyers, short sales represent an opportunity to pick up a property with potential for less than it might otherwise cost. 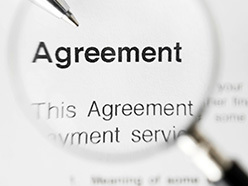 Why Do Lenders Agree To Short Sales? The main reason why lenders entertain the possibility of a short sale is that it can be a less expensive proposition than foreclosure. Think about what happens from the lender's point of view when they have to foreclose: They become the owner of the property and take responsibility for all of the costs of maintaining, repairing, and selling it. 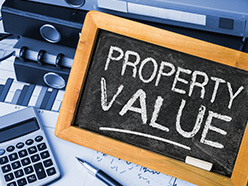 For a distressed property, it may take a lot of time and money to resell it. 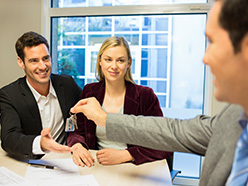 If you can convince a lender that taking a small loss by releasing the current owner from his or her mortgage and selling to you will cost them less in the long run than assuming ownership of the property and then going through all the necessary steps to resell it, they may be very inclined to take your offer. 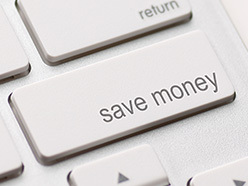 Speed and initiative are absolutely crucial if you want to buy a property through a short sale. As noted above, lenders have to be convinced that a short sale makes sense, and the convincing is all up to you. In many (but not all) short sales, you will be arranging your financing through the same lender. To do this, you need to provide information that demonstrates you will be a more responsible borrower than the seller was. If you obtain your financing through a different lender, it needs to be lined up and ready to go when you start negotiating the sale. Properties can only be sold short with the approval of all of the lenders who have liens on them. Multiple lender situations get complicated very quickly, and you still have an obligation to demonstrate the value of the deal to all of the lenders and secure their approval. Overall, you need to get all parties on board before the foreclosure process starts. Since short sales are only possible after the current owner has defaulted on his or her loan, this gives you a limited window to work in. A short sale is a specialized form of real estate transaction that has become more common in today's fragile housing market. 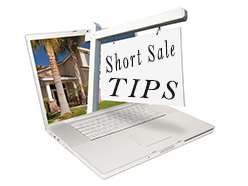 If you have the financial resources and you are prepared to deal with a property that may need extensive repairs, short sales can be a way to save significantly on great homes. Jeremy Johnson is a real estate enthusiast and has written content for dozens of real estate and related sites around the world. RealEstateCompanies.info is a side project he maintains because of his interest in real estate.